Elizabeth Rowley, Founder and Director of T1International, joins Very Light, No Sugar for the second interview in the Coffee Dates series. I encourage readers to visit the links included by Elizabeth and to help the #Insulin4All movement however you can. A: What led you to develop T1International? E: In short, I recognized how privileged I was to grow up in a place with access to good medical care and the supplies I needed to live a healthy life. I could not – and I still cannot – understand why health is not treated like a human right for everyone around the world. As I learned more about what people with type 1 diabetes face in all parts of the globe, I wanted to address the problems by working with people most affected. I could not find any other groups tackling the issues through advocacy, so I thought T1International could bring the diabetes community together to ensure that no one dies because they cannot access or afford something as basic as insulin or test strips. A: T1International’s current campaign of #Insulin4All has been making lots of good noise on social media. What is one simple, immediate way for individuals to help out the cause? E: Sign our Access Charter and spread the word. It takes two minutes to sign and shout about this on social media. Signing will not only show that you support five basic rights for all people with diabetes, but it will also add to the growing list of individuals and organisations who support these rights worldwide. Advocates around the world will use this charter and the signatures as evidence for the growing global support behind the #insulin4all movement. It will allow advocates for type 1 diabetes to prove to the government that there is international support and pressure for sufficient access to insulin, diabetes supplies, care, education and protection for everyone with diabetes. A: There is a persistent call for transparency in the insulin access and affordability realm. Ideally, what would this transparency look like? E: In one sense, transparency would mean that pharmaceutical companies would no longer be allowed to raise or set prices for their products without true justification. The excuse that research and development is the main reason for high prices is not cutting it anymore. Insulin pricing is currently a mystery. Costs vary wildly around the world, and even within a single country. Simply being able to know the cost of production and the true list price that companies set for a drug like insulin would be a huge step forward in transparency. A: We have discussed the great power of personalizing the insulin story. Give us one brief narrative of how T1International’s work directly influences the life of someone with diabetes. E: It is literally the difference between life and death. It is also the difference between feeling alone and knowing you have a community rallying behind you. Salomey and [her] mother in Ghana had to sell most of their belongings to be able to afford Salomey’s insulin – they were running out of options. With support from a local group (Diabetes Youth Care) and T1International, Salomey was able to get the supplies and support she needed. She finished high school in 2015 and she is working to ensure she can purchase the supplies on her own. T1International continues to work with Salomey and other Diabetes Youth Care advocates in Ghana on a larger scale, advocating for #insulin4all so that Salomey’s story will be replicated many times over. A: Where do you see T1International’s work going in future years? More specifically, in the near future we plan to carry out online advocacy trainings focused on the content from our advocacy toolkit. We would like to hold open sessions for advocates to come together to talk about best practice, share ideas, and talk strategy related to the specific issues they want to tackle locally or globally. Further afield, we would like to do larger, in-person training sessions with groups around the world. In the meantime, we won’t stay quiet about the need for transparency and #insulin4all! A: Is there a specific geographical area that is high on the priority list for insulin access assistance in 2017? E: It is impossible to prioritise one country over another when so many people are still dying from type 1 diabetes in so many countries. We would like to see more data collected, perhaps through establishing diabetes registries, in Africa as a whole. There needs to be more government prioritisation of access to medicines in nearly every country, which is why we are committed to supporting people and communities worldwide. My A1c was lower at my recent endo appointment. Not by any earthshattering amount (and we still have a long way to go), but “lower” is enough for me right now. In fact, my recent A1c was lower on a shots regimen than it had sometimes been while using an insulin pump. I thought I’d write some overly-emotional, 2000-word essay on how much the lower A1c means to me being back on shots. Instead, I’ll take my lack of wordiness as being one step closer to making peace with what happened to me and as a reminder to continue to advocate for others who need insulin. Frankly, I am still bitter about how much I suffered due to defective insulin pump products. A few tech glitches per year are understandable, as tech does not equate to properly-functioning islet cells by any means, nor should it pretend to do so. But to have bi-weekly episodes of near-DKA due to tech issues is inexcusable. It breaks my heart to think of other people out there who may be going through what I went through, who simply want someone to believe them and to make it all better. Thankfully, through the support of the #doc and some topnotch doctors and nurses, I am still here, I feel alive again, and I am getting into a better diabetes groove on multiple daily injections. The bruises are a visible reminder that diabetes does not go away no matter which treatment one pursues, but for me they are a small price to pay for the assurance that insulin gets into my body every day. I’ve said it before and I’ll say it again: do what works for you, whether that be insulin pumping or injecting or artificial pancreas-ing or Afrezza-inhaling. I just want all of us to feel good every day. But I also want those who experience tech problems to know that they are not crazy or “bad” diabetics. We are human beings; technology is technology; and, ultimately, #weneedacure. But what about the people who don’t have a plethora of options? Having spent many days in bed with ketones when my insulin pump malfunctioned, I often find my thoughts traveling to Spare a Rose nowadays. I will never take insulin for granted again. When insulin was not getting into my body, I was like a fish out of water, slowly and painfully fading away. Kids without insulin suffer like that each day. We must work hard to improve their access to life-sustaining insulin. Diabetes is difficult enough to tame with insulin, never mind without it. A few weeks before attending Stanford Medicine X (#MedX) 2015, I wrote down my thoughts about life in the “Before #MedX” stage. I knew that this experience would be life-changing, inspiring, and empowering, but if I multiplied those factors by a billion, I still would have underestimated just how powerful the #MedX experience was for those of us who were so blessed to be there. We talk and tweet a lot about the big moments at #MedX: when Cyrena Gawuga brought the crowd to our feet during her Ignite! talk, which chronicled her personal growth in the face of what previously seemed like a failure; when Abby Norman carried us through the whole spectrum of feelings- from hysterical laughter at her wit and humor to blinking back tears in awe of her journey to get properly-diagnosed with endometriosis and appendicitis; when Julie Flygare illustrated that anything is possible despite narcolepsy; when we marveled at the strength and determination of Emily Kramer-Golinkoff, who is improving the lives of those with cystic fibrosis as they race against time (side note: I was totally “fangirling!”); or when Ben Bahan taught us that he can communicate and listen (and do so with a sense of humor that rivals Amy Schumer’s!) despite being deaf. All of those moments were just- Wow. My fingers couldn’t tweet the powerful one-liners fast enough. Every sentence spoken was just that darn spellbinding. As much as #MedX completely renews your sense of purpose and advocacy with the big headliner stories, it also reinforces those concepts in the little, behind-the-scenes moments. I received support from #MedX before I even stepped foot on the Stanford campus. When a good friend’s child was diagnosed with a serious condition recently, I sought advice on what to say and what not to say (from a 2015 ePatient who I will not name here to respect my friend’s privacy; ePatient, you know who you are- thank you). The #MedX advisory board and administrative staff made sure that all of the i’s were dotted and the t’s were crossed to ensure a pleasant experience for conference attendees. #MedX alums were always available to yield my rookie questions at all hours of the night. At the ePatient dinner, our hearts overflowed with compassion and respect for one another. The list of human goodwill goes on and on when it comes to Medicine X. From a diabetic online community (#doc) standpoint, I enjoyed talking about the highs and the lows with Chris Snider, Amy Tenderich of Diabetes Mine, Sophie Thacher, Meredith Hurston, and Dana Lewis- who carried her (artificial) pancreas in her purse, which automatically ranks her pretty darn high in my book of praise! It was refreshing for me to be around people who understood without me having to really say anything, who could swap campfire tales of funny diabetes moments, and who were so passionate about our #doc advocacy endeavors. The #MedX workshops were particularly informative and interactive. Dr. Bonnie Feldman enthralled us with her autoimmune disease research, and we pledged to keep in touch and work hard to crack the autoimmune code as a community. My good friend and fellow ePatient, Danielle Edges, held a workshop on eHealth in pediatrics, which featured her family’s brave story of caring for a daughter with a congenital heart defect called heterotaxy and another daughter who is secondarily impacted by having a sibling with a chronic condition. It was so uplifting to witness this Mom, who would go to the ends of the earth to help her family, whose humor remained intact in the face of challenging circumstances, and whose loyalty and friendship is beyond measure. #MedX is renowned for bringing together the various participants in the realm of healthcare. We hear the term “Big Pharma” thrown around quite often online. 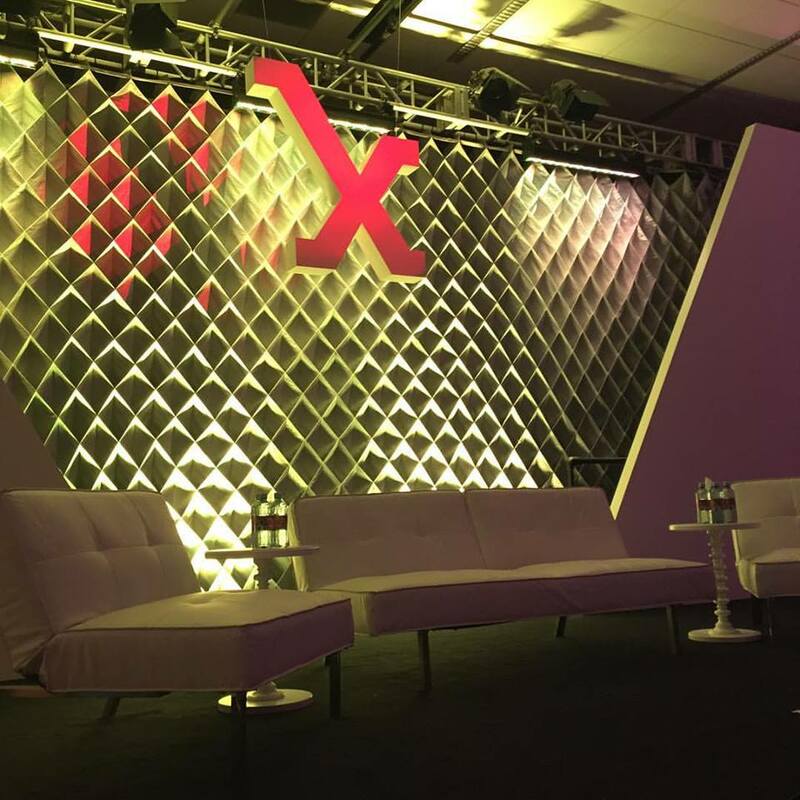 But I can assure you that the pharmaceutical representation at #MedX was laser-focused on getting the little details right and connecting with the patients whom they serve. I was asked, “What can we do for you? What message do you want us to hear from your patient perspective?” I was so humbled by their willingness to listen and their desire to drive innovation. There were also the little moments at the Sheraton pool, where ePatients and other #MedX attendees dined after the day of conference events concluded. Nisha Pradhan’s passions for advancing anosmia research and providing an empathetic medical experience were contagious. Britta Bloomquist taught me about life in northern Minnesota and juggling Lyme disease and ankylosing spondylitis. Kristin Coppens was an example of grace and determination while managing multiple chronic conditions. Natalie Abbott and her service dog, Cassius, educated us on Moebius syndrome, a rare disease only diagnosed in 1,000 patients thus far. Natalie and Cassius were the epitome of a good team; they worked together seamlessly, never complaining. I gained perspective that I must admit I very much needed by watching Natalie and Cassius together: Moebius syndrome is a passenger along for the ride in Natalie’s very-accomplished life, not the other way around. We can apply that same lesson to every sort of adversity in life. Thank you for inspiring me so much, Natalie and Cassius! There are so many other big and little moments from #MedX which I would love to highlight, but the truth is that I could write a novella about how great each individual who attended is. I would like those reading this blog to know that #MedX is a phenomenal experience because of the positive, enthusiastic, dare-to-dream-big nature of its attendees. We are without a doubt going to change healthcare for the better. Heck, we already have, and we’re just getting started. I woke up having some concerning diabetes issues on the first day of my #MedX experience, the pre-conference Healthcare Innovation Summit event. To be honest, I felt quite ill. My mother convinced me to take the shuttle to the conference location. There would be plenty of healthcare geniuses around if I needed assistance, she advised. How very, very true. As the day went on and I took many insulin injections, my diabetes situation began to improve. The group disbanded for an afternoon coffee break, and I walked to a bench in the shade of the Stanford campus. Eventually, a professionally-clad woman sat down on the neighboring bench. “This shade is so welcome,” she noted. “Absolutely, and it’s nice and quiet here- a good opportunity to take a breather,” I replied. 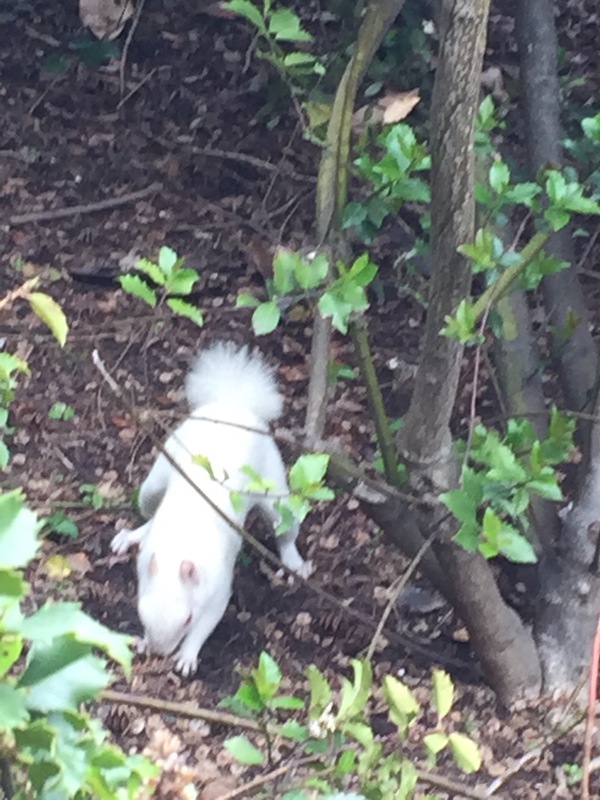 And so we chatted. She was at #MedX representing her healthcare company’s new technological product. Her excitement for the tech’s potential to improve lives was palpable, and it was clear she loved her work. “Can you explain to me what an ePatient is?” she asked. “Is diabetes… hard? As in, does it impact you a lot?” she asked tentatively. And with that we walked back towards the conference hall, two people on different sides of the healthcare equation, united by a common ambition to help others. That’s what #MedX is all about. It was my greatest honor to attend this year, and I would like to sincerely thank everyone at Medicine X for sharing their perspectives. Keep doing big (and meaningful little) things. Disclosure: I attended #MedX on a partial scholarship as an ePatient delegate. Opinions expressed here are strictly my own. 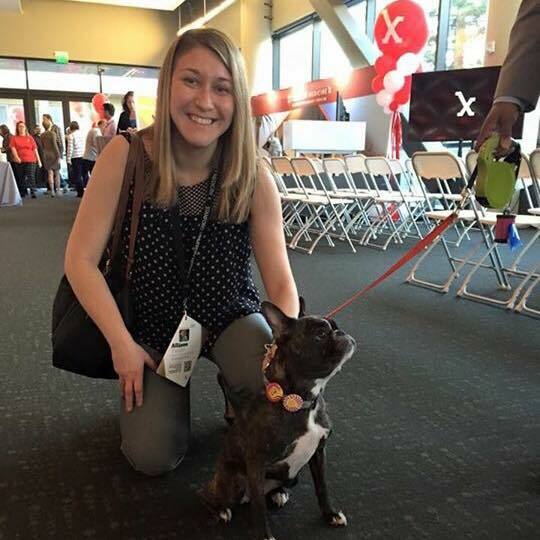 ^ With the world-famous #MedX mascot, Zoe Chu! 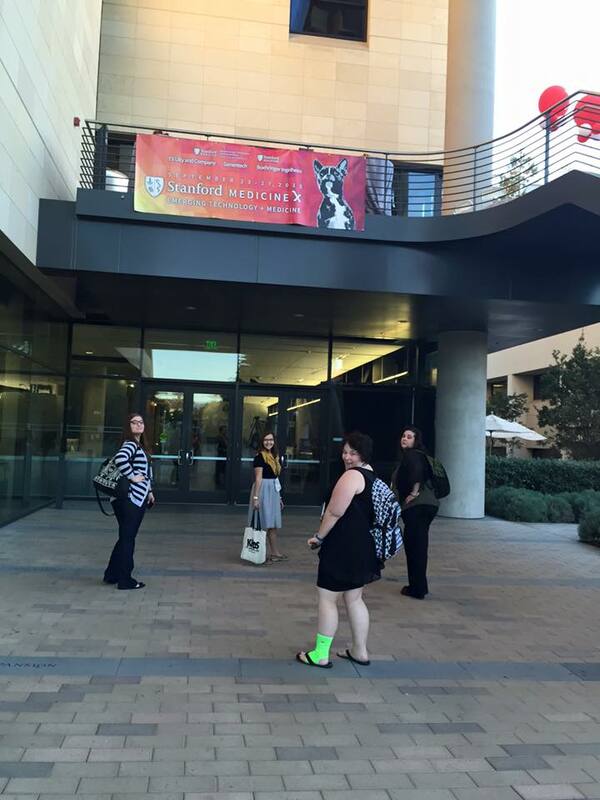 ^ Excited for #MedX!